The W1 Harbour Series (IV) on 25 July will be run from Mana. Although the weather forecast at http://www.weather.co.nz is only for a light 10kt southerly, to be safe it will be in Mana / Ngati Toa Domain again. Safety: Paddlers are to ensure that they carry all necessary safety gear, i.e. life jacket, bailer, and are trained in basic self-rescue techniques! Cost: $2 and your enthusiasm, money goes towards price for the paddler with the most points but winning isn’t the only way to gain points. 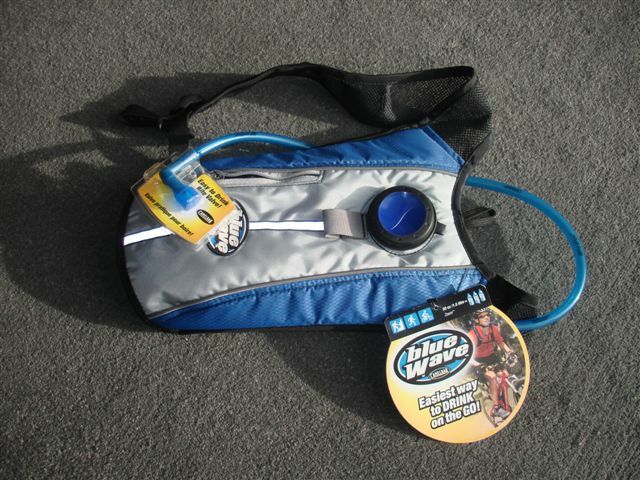 The main price is a a brandnew blue wave camelbak. There will also be additional spot prices, handed out at the completion of the series in September. Purpose: This event is for those looking for some competition and for those wanting to spice up their W1 training sessions. Paddling craft: The series is intended for W1 but the event is open to all paddling craft. The series runs during the Winter season between May and September. Note that the Surfski and Waka Ama Series runs between October and March.